I have a hard time seeing it working for anyone else – maybe a contractor or freelancer who only has a few clients. Don’t get me wrong; I think it looks promising (especially once they add the smart date feature and a web app), I love the design, and it’s easy to use – but it’s not really equipped to handle large or complex projects, or teams of independent workers. And it doesn’t seem intended to, which is good – I feel like a lot of the task/project management apps that fall short are trying to be too many things to too many people & just end up being a confusing mess instead. Used Any.Do? Any thoughts on it or suggestions for future reviews? Let me know in the comments or send me an email! I started using Any.do on my Android phone maybe six months ago. It worked when all I was using it for was personal reminders, but I quickly switched away from it when I started needing to keep track of more and different things. It’s such a lovely, clean interface and a simple functionality that I wish I had a use for it. So far, though…I don’t. Right, that’s pretty much how I feel. 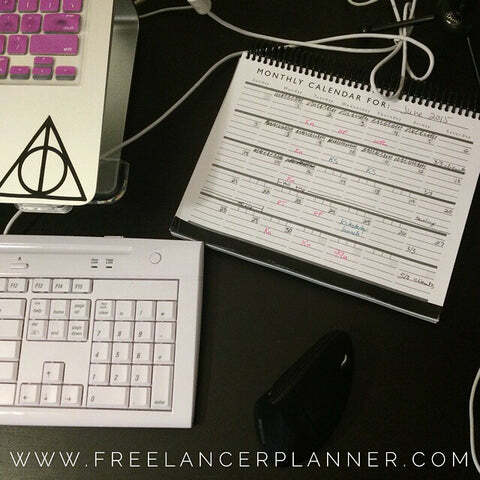 It’s VERY well done and well-designed, and if I only had like, one personal to do list & one work to do list to keep track of, it’d be fantastic…but for someone actively doing multiple projects on a regular basis, who likes to plan out way in advance, not so much. I’d still recommend it as my favorite so far out of the “minimalist task management” genre.